Missile defense continues to play a major role in Taiwan’s defense plans, and getting it right as the threat matrix evolves will be a great challenge for defense planners here. Beijing’s reaction to the deployment of a U.S. Terminal High Altitude Area Defense (THAAD) system in South Korea, North Korean missile tests, and the recently confirmed addition of Dong Feng 16 (DF-16) medium-range ballistic missile to the already existing arsenal aimed at Taiwan have put the general public on notice about one of the defining features of East and Southeast Asia’s military developments. For all the impressive modernization of the People’s Liberation Army (PLA), it is the deployment of ballistic missiles by the PLA Rocket Force (formerly the Second Artillery Corps) that epitomizes China’s military threat to Taiwan. Thus, it is no wonder that the option of acquiring new missile defense capabilities has been on the minds of Taiwanese defense planners for some time. Efforts to develop a capability to counter missiles have been in place for as long as the missile threat itself. In the final years of World War II, the United Kingdom employed a set of passive and active counter-measures against the threat of V-1 missiles, the predecessor to modern cruise missiles. Active measures involved shooting down the missile, either by anti-aircraft artillery (using analog computers for fire prediction) or through interception by fighter planes, a challenging task given the relatively high speed at low altitude, the small size of V-1s, and the lack of vulnerable kill points on the missile. Passive counter-measures included a barrage of balloons. However, with another type of Nazi missiles, the V-2, none of this was possible. The V-2 was too fast, and as soon as it was in the air, there was no way of stopping it. The V-2 was also a disaster because it was very expensive to produce; each V-2 that often fell miles away from an intended target cost as much as one fighter plane, sorely needed on the frontline. The high-intensity terror campaign of cheaply made V-1s proved at the early stage that missile defense is a costly endeavor. To defend London, the British had to establish special anti-aircraft defense zones and divert some of their most advanced fighter planes away from the frontlines. However, Nazi Germany also paid a high price by investing a great amount of its scarce resources (money and material) into a program that, in the end, could not make a difference and had subpar results. Unlike their modern successors, V-weapons also had atrocious accuracy (compounded by British disinformation on accuracy and damage assessment fed back to Germany via double agents). Seventy years have passed, and defenders’ options are better than what the Allies had at their disposal in 1944. Far from achieving the goal of total defensive coverage of Ronald Reagan’s Strategic Defense Initiative (known colloquially as “Star Wars”), modern missile defense systems (or perhaps more precisely air defense systems with missile defense capability) are, however, capable of shooting down ballistic and cruise missiles. The THAAD has the ability to intercept missiles at the apex of its descending path. If interception at that altitude fails, the defender still has time for a second shot, and also to intercept incoming missiles with low-tier systems like the Patriot Advanced Capability 3 (PAC-3). In the case of South Korea, Japan, and the U.S., to name countries facing a missile threat from either China or North Korea (or both), they can also deploy SM-3 BMD aboard Aegis destroyers. Taken together, THAAD, PAC-3, and interceptors aboard Aegis vessels constitute theater missile defense (TMD). Having a multi-layered TMD is therefore the ideal option. A PAC-2 launcher is on display at CKS Memorial Hall Square in Taipei in July 2014 (Wikipedia). Despite the increasing capabilities that a defender can field, offensive missiles have also become more formidable. Modern cruise missiles are capable of skimming the surface to evade air defenses or perform evasive maneuvers, which is also true for the latest versions of ballistic missiles warheads. However, this is not the greatest headache for BMD advocates. The doctrine for engagement of an incoming missile by the PAC-3 system is to “ripple fire” two interceptors to increase the probability kill (pK) to an acceptable level (generally 90%). That means two costly interceptors against one missile. A limited number of interceptors is not the only problem, however. Should the PLA manage to launch hundreds of missiles against Taiwan, command and control (C2) systems could struggle to effectively deal with the incoming threat even if a sufficient number of interceptors is available. In short, it is easier to assemble a large arsenal of ballistic and cruise missiles and overwhelm an adversary’s defenses than to mount a corresponding defense. The challenge that China would face is the number of transporter erector launchers (TEL) it can deploy, thus limiting the number of missiles that can be fired in one large salvo, as well as the distribution and proper guidance of missiles to their targets. This is where a scenario involving a Chinese missile attack on Taiwan enters uncharted waters. Due partly to the fear of an escalation resulting in a nuclear exchange, never before has one state launched a massive coordinated ballistic missile strike against another with a developed network of missile defense systems. 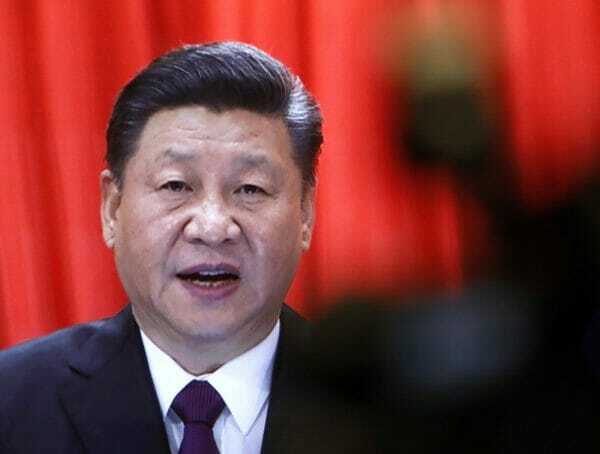 All of this, moreover, under conditions of integrated electronic and information warfare that would render the reliability of sensors and guidance systems used by both Taiwan and China questionable. China’s missile threat to Taiwan is a test case for almost every possible aspect of the missile defense dilemma. The Chinese military has fielded large numbers of short-range ballistic missiles of the Dong Feng variety; most relevant are the short-range DF-11 and DF-15, most of which underwent upgrade from the 1990s for increased accuracy. Moreover, China began fielding new models like the short-range DF-12, short-to-medium-range DF-16, which is considered an eventual successor to older DF-11s and DF-15s, and the medium-range DF-26. The number of ballistic missiles aimed at Taiwan is estimated to be at least 1,500. This number is further augmented by hundreds of land- and ship-based cruise-missiles. To counter this formidable threat, Taiwan has fielded nine batteries of PAC-3 systems, with one held in reserve (some of them are older PAC-2 GEM systems upgraded to PAC-3 standard). The PAC-3 was specifically developed for BMD purposes at the expense of other capabilities. Currently, Patriots in service in Taiwan use a mix of PAC-3 and PAC-2 GEM interceptors, partly because there is not a sufficient number of PAC-3 interceptors yet; the 444 MIM-104F interceptors acquired in 2008 and 2010 have all been placed within their respective launchers with no reserve for rearming for another salvo. However, Taiwan’s BMD does not rest just on Patriots. The National Chungshan Institute of Science and Technology (NCSIST), the country’s premier defense research institution, has also developed its own system, the Tien Kung 3 (TK-3). 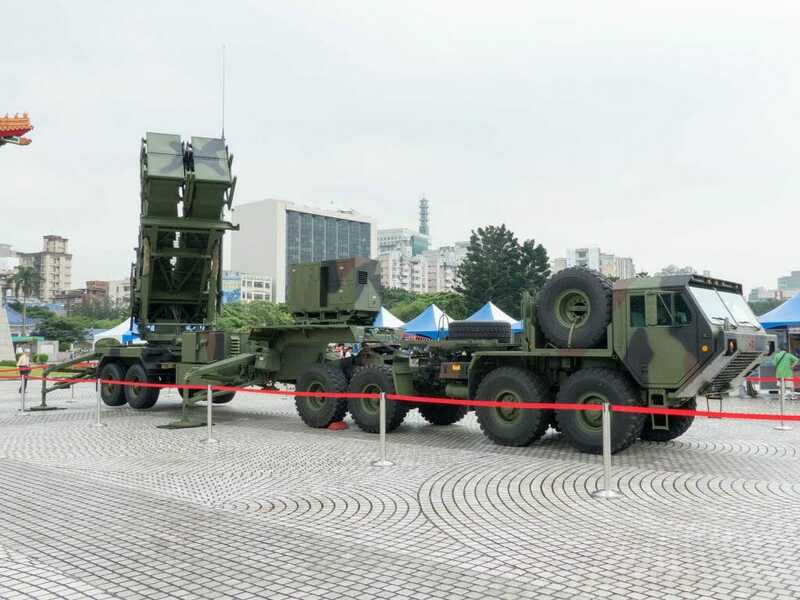 The ROCAF Air Defense Missile Command is planning to deploy a total of 12 companies (1 company consists of 1 battery) of TK-3 by 2024 at the cost of NT$74.8 billion (US$2.47 billion) on top of the roughly NT$180 billion it paid for the PAC-3. Currently, the 611th and 612th battalion, deployed in the north and south respectively, each consists of three companies. Plans are to replace the MIM-23 Hawk batteries with TK-3s; the current composition of Hawk batteries consists of three battalions, the 621st (5 companies) in the north, the 623rd (4 companies) in the south, and the 625th (3 companies) in the east coast. Together with the already fielded PAC-3 systems, Taiwan will therefore have in place a total of 21 (+1) batteries. Approximately NT$240 billion (to compare: the current annual defense budget is roughly NT$300 billion) may seem like a high price for a low-tier system with limited efficiency; after all, many incoming missiles will still make it through. How many missiles would be intercepted is, to a considerable extent, guesswork. 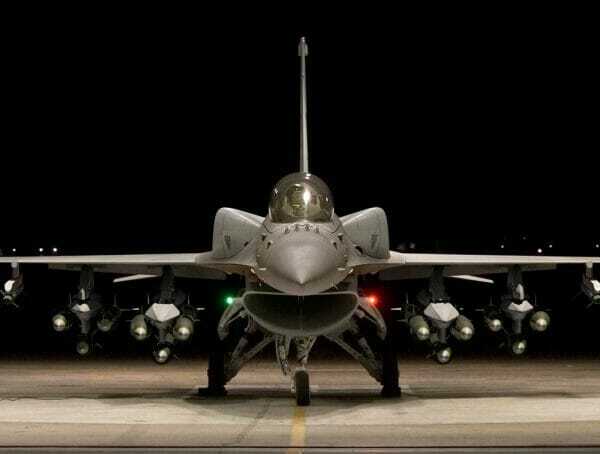 The easy way is to take the number of available interceptors and divide it by two, though in reality this could be further complicated as Taiwan’s air and missile defenses would come under sustained electronic and information attack. 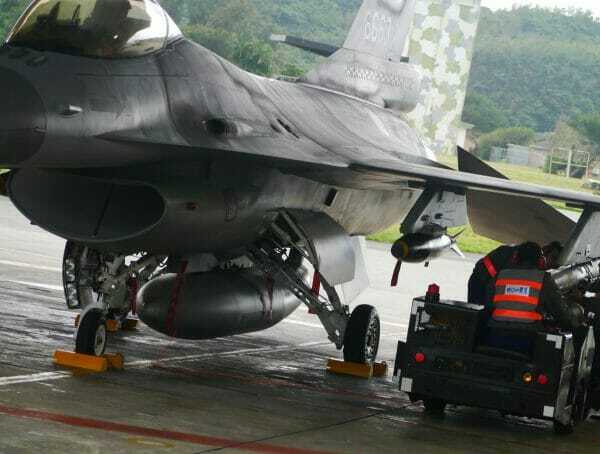 Regardless, even if attempts to jam Taiwan’s targeting sensors were thwarted, it is still a challenging task to engage a large number of targets in the most efficient way. All that being said, if missile defenses can take out hundreds of incoming missiles, it seems worth the hefty bill. When the Chinese missiles start to fly, the economics of missile defense would arguably not be the primary concern. The proper combination of active and passive defenses will increase the overall cost of a saturation attack or increase the survivability of individual targets by forcing China to scatter its ballistic missiles in an initial salvo. As noted above, a multi-layered BMD increases the chances for the defender. But is this an option for Taiwan? A THAAD system could be one option to augment the current and planned BMD deployment with the capability to intercept incoming missiles at their highest point in their descent. However, the effectiveness of an intercept at terminal high altitude must be balanced against the exorbitant price of the THAAD system (estimated NT$30 billion for nine launchers, 48 missiles, and support), and political backlash from the PRC that would certainly follow a THAAD sale to Taiwan. As to the sea-borne element of TMD, Taiwan’s Navy intends to add a missile defense component with development of an Aegis-like system, but under current plans these are to support fleet operations and thus will not be available for augmenting land-based defenses. 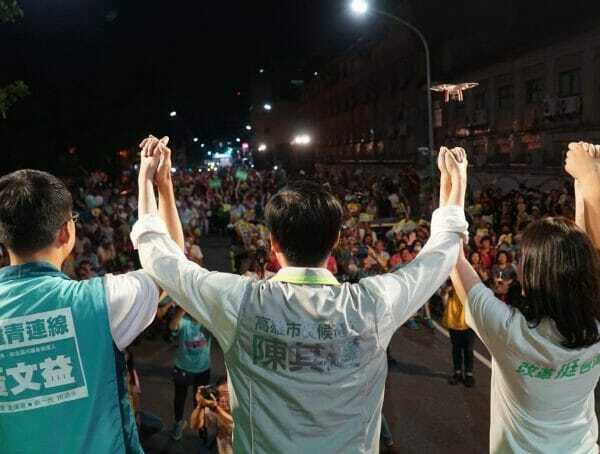 Thus, Taiwan will need to rely in the foreseeable future on a low-tier missile defense only. The primary mission of BMD defense for Taiwan is twofold: to sustain civilian morale and protect vital infrastructure such as runways, bridges, or communication nodes during a first strike. The current deployment of Patriots and TK-3s favors the former, which given the political situation is a logical choice. However, provisions should be made to mobilize the units around key infrastructure should PLA intentions, either terror bombing or first strike in preparation for an invasion, be known in advance. An efficient deployment and mobilization of Taiwan’s existing BMD assets could increase the strategic initiative for Taiwan’s defenders by introducing an element of uncertainty on how heavily defended Taiwan’s key infrastructure is. This needs to be done in conjunction with hardening of passive defensive measures such as underground communication centers, penetration-resistant bunkers, and reinforced hangars, among other passive counter-measures. The proper combination of active and passive defenses will increase the overall cost of a saturation attack or increase the survivability of individual targets by forcing China to scatter its ballistic missiles in an initial salvo. Moreover, although the overall material cost of the BMD system would well exceed the cost of the incoming salvo of ballistic missiles, it is well justified should the systems ensure the survival of Taiwan’s C4ISR and Air Defense capabilities, and deny the PLA the window it would attempt to create and exploit. Ultimately, the asymmetry between the cost of a ballistic missile and cost of missile defense is not the only, and ultimately not a very useful, metric. The proper deployment of BMD systems could provide Taiwan a measure of initiative in the case of all-out attack. It is also an effective deterrent against missile attacks short of all-out war. Missile defense therefore continues to play a major role in Taiwan’s defense plans, and getting it right will be a priority of defense planners here. Michal Thim is a Fellow at the Metropolitan Society for International Affairs (U.S.) and Research Fellow at the Association for International Affairs (Czech Republic). Liao (Kitsch) Yen-fan is a Taipei-based analyst for the Cyber Security firm Team T5, specializing in cyber security, air power, and the Taiwanese military.